After-sales service and support has always been our USP. Our team provides service not just at the development at the design phase, but also after execution in scale-up and upgradation of existing plants. 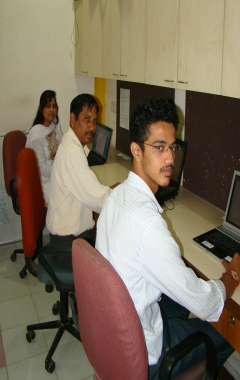 Our team of engineers help design efficient and optimized plants from the core process concept. These are mainly customized to suit the client’s process needs. 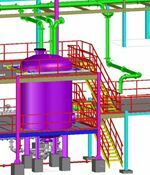 Once the general arrangement drawing is finalized, detailed isometric drawings are made to ensure that the design of the plant is robust. Years of experience in the industry, helps us design efficient plants. Use of superior quality raw material, good manufacturing practices, and performance testing of individual components is done at our end to ensure minimum problems during commissioning at site of the customer. Our team of experienced personnel ensures hassle free installation of plant at site and deliver running trial to the satisfaction of the customer. 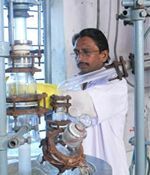 Training to the technical staff at the customer’s plant is imparted to ensure that smooth operation of the plant or system can start with immediate effect. 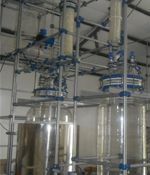 We have expertise in laboratory scale units, pilot plants as well as production scale plants. This experience aids us in optimizing scale up of existing units and plants at the customer’s end. We understand that scale-up needs to be done smoothly with maximum utilization of existing facilities. Our pilot plants and kilo lab units are designed keeping this in mind. We understand that it is essential to automatically monitor and control some parameters during chemical processes, especially in Research and development and in academic applications. To cater to this requirement, we offer automated plants and process systems. The degree of automation can be varied to suit the customer’s requirements. High quality instruments and real time automaton systems like SCADA are used to provide precise control over the process. We offer onsite maintenance for the process plants and units we supply. Our team is always available to offer technical support and service to our customers to ensure that their plants run smoothly.